The Wellington Chocolate Voyage is now live! Go to our Kickstarter page to become a backer, follow us on Facebook, and help spread the word! For me, (Sera, formerly a micro-batch bean-to-bar newbie), I had no idea a cocoa bean actually had a flavour profile! I just thought it tasted like ‘chocolate’, where there was dark chocolate which tastes ‘dark’ or milk chocolate which is creamy. I was astounded to learn cocoa beans from Madagascar have a berry jam/plum flavour and cocoa beans from Peru have flavour notes of apricots and honey. My taste buds have experienced a revelation! 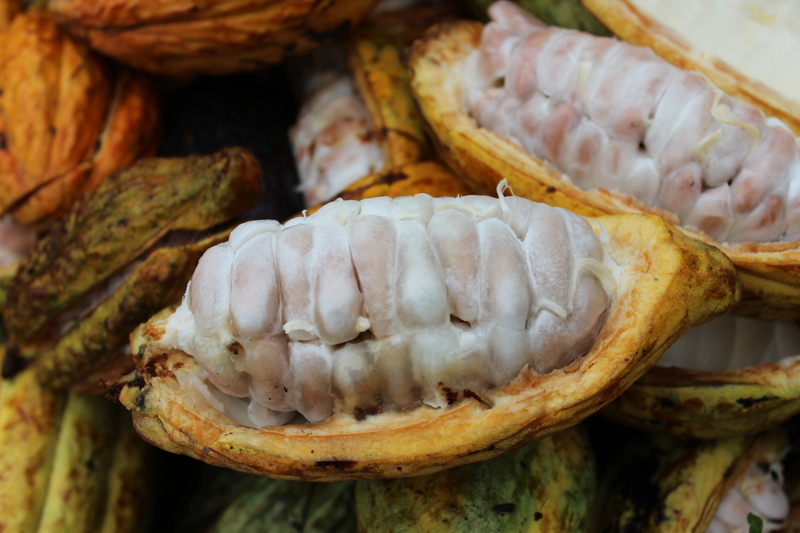 The core flavour is determined by the variety of cacao tree, the soil and sunlight the tree grows in, how the beans are fermented and dried, and how the beans are roasted – not by additives or things like milk extracts. There’s something wondrous and satisfying in picking a bar off the shelf and knowing it was all made in one place, using only cocoa and sugar, with beans from a specific plantation. 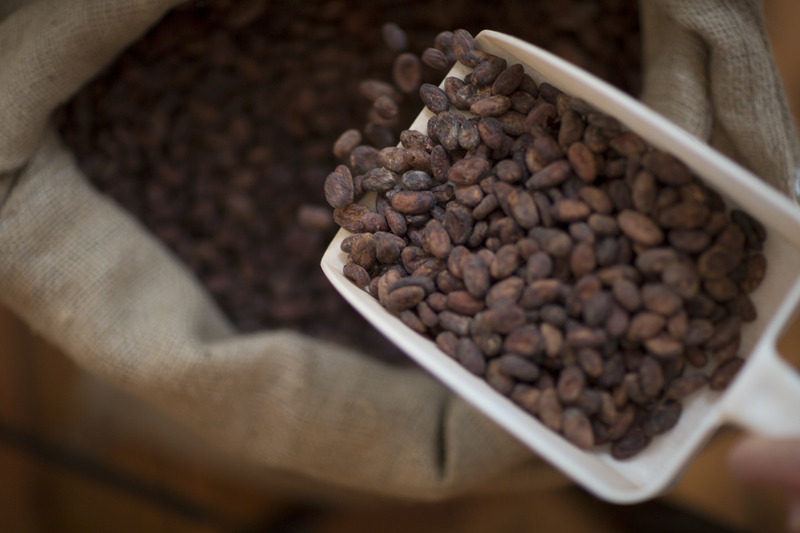 The bean-to-bar movement is also about ethical practice across the whole supply chain, and establishing meaningful relationships with cocoa farmers. These relationships are based on mutual respect and understanding, real effort goes into effective communication and building the relationship so both businesses grow. It’s a great way to make chocolate; it’s a great way to eat chocolate! 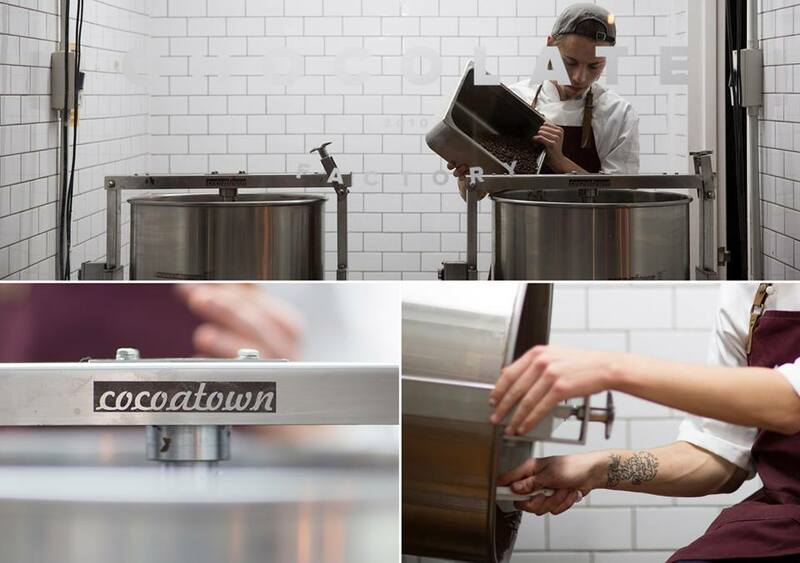 At the Wellington Chocolate Factory you can watch cocoa beans being turned into chocolate. We’d like to show you what happens before the beans get to us. Here are some great photos of Bougainville cocoa farming – the ‘bean’ side of bean-to-bar chocolate making- with some of the friends we’re working to support. These were taken by Gabe on his 2014 Bougainville trip. He met some great people including the local cocoa legend James Rutana who you all now know. Some others you’re about to meet, such as Robert Critchley and his team. Robert is a local entrepreneur who started Sankamap Exports “to put Bougainville back on the map” via cocoa. Robert had worked in the Papua New Guinea cocoa trading industry but became frustrated that Bougainville cocoa received no recognition when it was exported to international markets. Sankamap is a nickname for Bougainville and means sunrise in Pidgin English. Click on the photos below for a full size slideshow. Putting Bougainville back on the map!! Hand sorting the already winnowed beans – quality! The Wellington Chocolate Voyage project is rooted in the idea of ‘shared value’, a sustainable approach to business that sees companies and communities reinforcing each other and growing together. Shared value brings together several powerful ideas that have been around for a while. It’s been taken up by some pretty big companies, which is a good thing, but that doesn’t mean they should be the sole champions. Have a look at the video from ‘the B-team’, and the wonderful Farmhub Textile Exchange; Creating Material Change people who demonstrate though their excellent graphic how this relates to smaller, developing countries and sectors – and why it’s so important! The Wellington Chocolate Voyage project is about much more than growing beans; it’s about growing dreams. 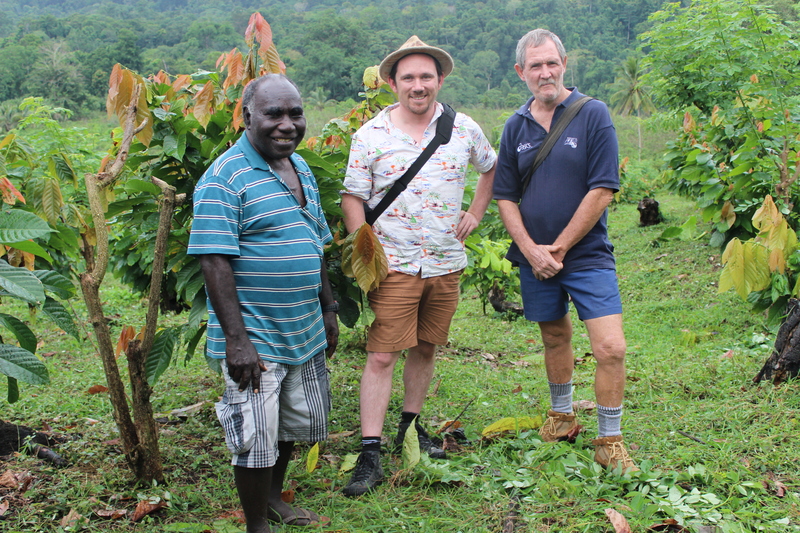 It’s about working co-operatively with James Rutana and other growers in Bougainville to create shared value across businesses and communities, and support lasting positive changes in people’s lives. All while making great chocolate! James Rutana is Bougainville’s ‘Mr Cocoa’. 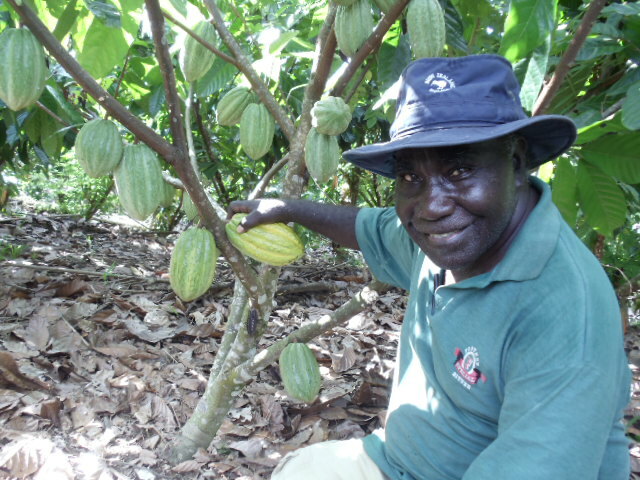 James grew up in Pavaere Village in North Nasioi just behind one of Arawa’s large plantations, grew his first cocoa tree at age 10 in 1958, then worked and learnt from the plantation manager. He went on to study micro-economics and international commodity trading in London. When he returned to Papua New Guinea (PNG) he was instrumental in establishing the PNG Cocoa Board, and was appointed first chairman in 1975. He then set up the PNG Cocoa and Coconut Research Institute and was founding chairman for 10 years. He has worked in the cocoa industry in Jamaica, Ghana and New York and has sat at the Queen’s table for his effort, not that he’d tell you that. He is truly a cocoa legend. James is a grower at heart. In 1983 he brought a plantation in Bougainville so he could get back to his agricultural roots, 6 years later the civil war broke out. A blockade imposed by the PNG Government lasted 10 years and caused detrimental effects on the social, economic, health and wellbeing of Bougainvilleans. James and his family were exiled to the Solomon Islands. Upon their return in 2002, James was appointed a Commissioner for the Bougainville Constitution during the time the Autonomous Bougainville Government was being formed. He went back to his plantation in 2006. Bougainville has had to start from scratch. Much of the infrastructure was destroyed during the war and the private sector fled. Recovery has been slow because there is no insurance, and thus, no bank loans. Grants from the National Government are slow and the Autonomous Bougainville Government is new. However, Bougainvilleans are incredibly resourceful and innovative so they have found local solutions to virtually everything. It’s not easy but it is inspiring. 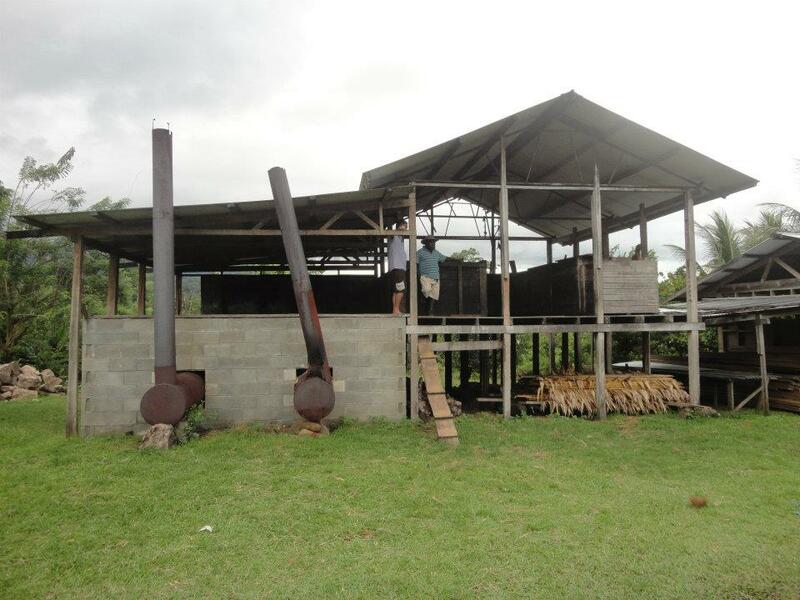 James had to rehabilitate his plantation which was severely affected by Cocoa Pod Borer (an introduced pest that ruins healthy cocoa pods and decimated the cocoa industry in East New Britain, a province in PNG). For the past 8 years he has been developing new varieties of cocoa and growing techniques to improve yields and quality and has run a programme to share this knowledge and planting materials with other farmers. He has also worked with government agencies and NGOs to develop plans to improve the sector as a whole. He has done all of this without support in increadibly challenging conditions. James’s cocoa dryer and fermenter, in need of some TLC. James, Gabe and Gary. Gary is from New Zealand but has lived in Bougainville for over 30 years and is a good friend and cocoa partner with James. James is not just about cocoa – he’s about permaculture – the development of agricultural ecosystems intended to be sustainable and self-sufficient. He grows dry-land rice between the rows of new cocoa trees as an alternative harvest crop before the cocoa is mature. 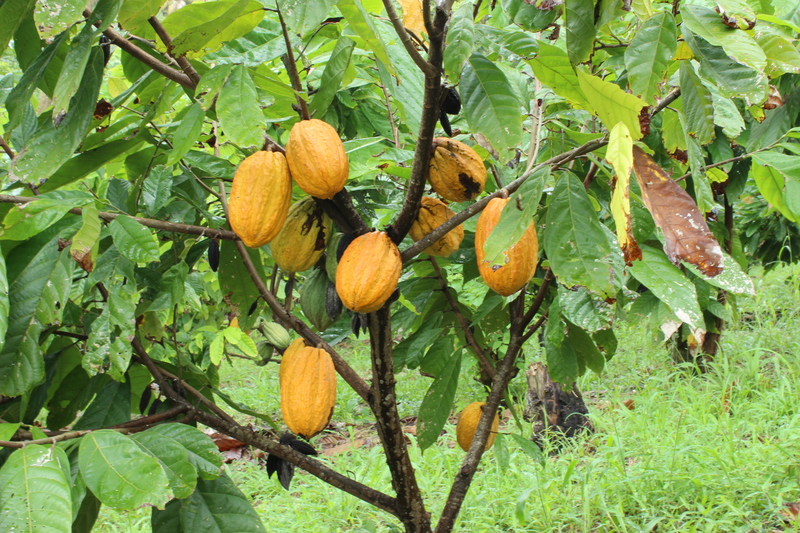 He also encourages farmers to grow pawpaw, bananas and coconut to shade the juvenile cocoa trees, which double as a food source for families and produce to sell at the market. He also has chickens and Bougainville’s first goats to maintain weeds, provide compost and protein. Lets get behind this project and get behind James! WCF Choc & Kava Night! What Is "Bean-t… on What is Bean-to-Bar? 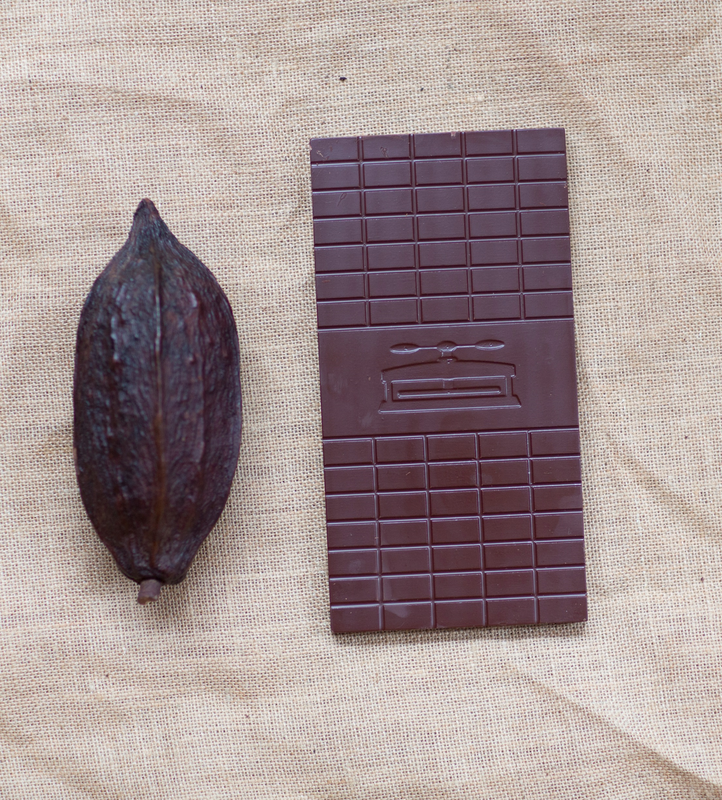 What Is “Bean… on What is Bean-to-Bar?